Hello! This is my first blog! Yay! I created this blog because I believe that if I put a daily blog oracle reading, that anyone who needs to read it will find it. Even if it’s not the same day I wrote it. I truly believe this was meant for you. I’ve witnessed the universe placing things in my life: signs, syncronicities, chance meetings to guide me in my path. And I hope to be an instrument in this universe for you. In the past I had done tarot reading, and runestone readings and I quit a long time ago. This year, I saw a tarot reader who said I was a healer and she gave me this oracle card deck that she just knew it was meant for me. Well, I’ve been using it and doing my own readings, and it comforts me and lovingly guide me in the direction or what I need to work on. It is different that Tarot cards because they are all positive messages that I feel uplift our souls. I will try to do readings on a daily basis, and I hope this helps someone out there! Just to explain that when I do a reading, I pray to God/Source Energy before the reading for help and guidance. 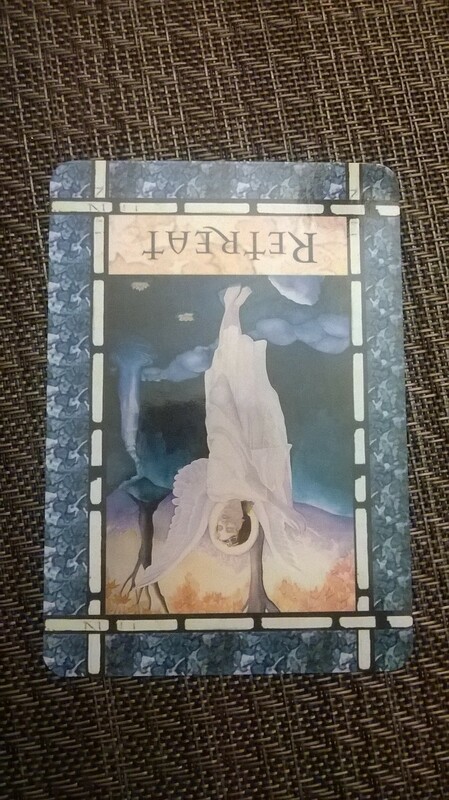 The Oracle deck references angels and God. These can also be substituted with your own personal beliefs of a higher source, higher self, or power of the universe. I respect all religious beliefs. Well, I think that went well! I also want to say that I don’t mean to offend anyone with these readings, and if anyone gets offended at any time, it was not my intention. I wish you all much joy and love. We are all one. We are all connected.